Your best customer calls and asks a question about an order placed three years ago. 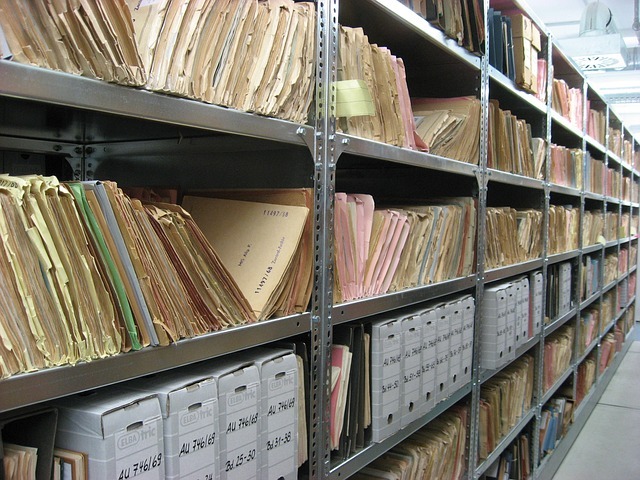 How much time is your staff spending finding the old paper records, pulling out the requested data and then filing it again? How many times is that scenario repeated each day, week or year? How long does your customer have to wait to get what, in your customer’s mind, is the answer to a simple question? And how much money are you spending on housing thousands of manufacturing records that may only be needed occasionally? You know the answers to these questions aren’t pretty but fear of change keeps many companies stuck in the same paper document filing rut year after year despite the obvious costs. Everyone loves the idea of the benefits of going paperless (which has never truly happened yet, but still….). There are opportunities to save time and money, create efficiencies and improve your business and manufacturing processes. So why aren’t more manufacturers converting paper-based records into electronic documents that you can access with the click of a mouse? Because getting from point A to point B, particularly for manufacturers with decades of records to manage, can be daunting and for good reason. If not thoroughly planned and executed, you may very well face the dreaded GIGO – Garbage In Garbage Out and you’ll be left with a virtually (no pun intended) unsearchable collection of paper records you can’t use. The first step to overcome this conversion aversion is to create a team. Since multiple departments of your company are affected by the filing system and document retrieval process, it’s important that all of the stakeholders have input, or at least awareness, when creating your project timeline. All phases of the document imaging process, such as preparation, document scanning, document indexing, conversion, the use of OCR, should be carefully planned as each change in your business processes can materially affect several departments or even your business as a whole. Depending on the size of the project, the entire process can take months or even years to do it right. All the activities that make a business run smoothly can grind to a standstill when systems and processes change without warning or if there is no contingency plan in the event something doesn’t go exactly as planned. Whether your documents are stored on paper, microfiche or microfilm, there is state of the art technology available to convert those records into secure, easily retrievable electronic records. Modernizing manufacturing infrastructure and reducing paper intensive processes makes sense in a multitude of areas – reducing costs, driving efficiencies and giving you easy access to your records. It also requires a significant investment of time, resources and planning to realize these gains. Learn more by contacting Advantage IMS for more information today.